"Soldiers Corner" and the Screen Wall in Bristol (Arnos Vale) Cemetery, - Photographed in the Autumn of 2015. During both wars, there were a number of military hospitals at Bristol and the city was the depot of the Gloucestershire Regiment. During the Second World War there were also a number of Royal Air Force stations and prisoner of war camps in the area. ARNOS VALE CEMETERY contains burials of both wars. Most of the 356 First World War burials were of men who died at the local hospitals, particularly the 2nd Southern General and the Beaufort, many of whom were landed at Avonmouth from hospital ships from the Mediterranean. 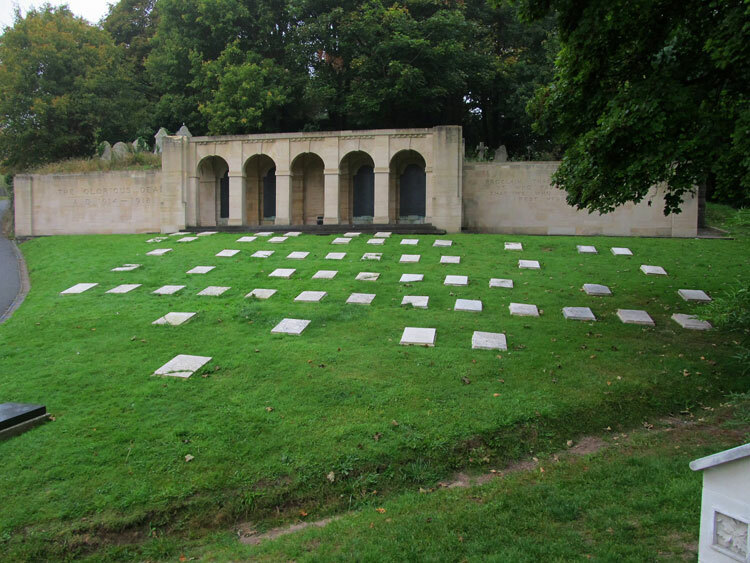 Their graves can be found in the 'Soldiers Corner', a plot established by the British Red Cross, near the main entrance. The 238 casualties buried here are commemorated on a memorial at the rear of the plot. The rest of the graves are scattered throughout the cemetery. There are also special memorials to one casualty buried in the cemetery whose grave could not be located and another commemorating a casualty buried in Bedminster Church Cemetery whose grave could not be maintained. When Derek Walker, who has kindly provided the photographs of this cemetery, first visited Arnos Vale Cemetery (in February 2014), there were no headstones in "Soldiers Corner". However, by late 2015, the headstones had been relaid in their original positions. There are 149 burials from the Second World War, some forming a small plot in an area in the upper part of the cemetery set aside for burials from the Naval Hospital at Barrow Gurney; the rest are scattered. Those whose graves are not marked by headstones are named on a Screen Wall Memorial. Those buried in "Soldiers Corner" are also commemorated on this Screen Wall, as for some while the headstones had been removed from this First World War burial plot. 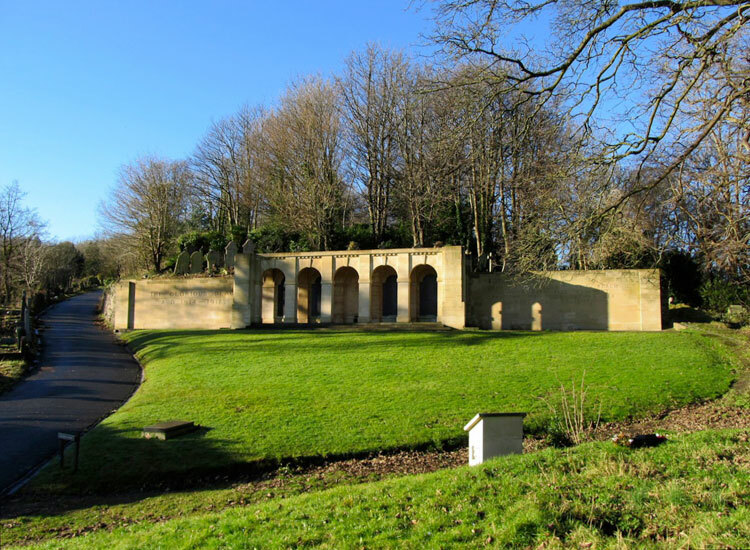 We are very grateful to Derek Walker for providing the photographs of Arnos Vale Cemetery. 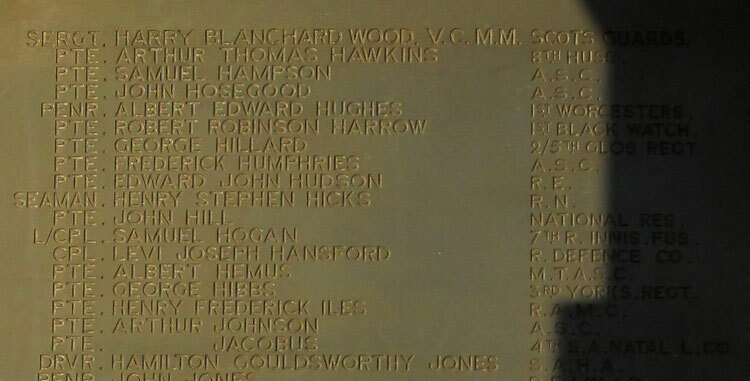 Private George Hibbs, 34003. 3rd Battalion the Yorkshire Regiment, formerly 18771 RASC. Son of George & Ann Maria Hibbs. 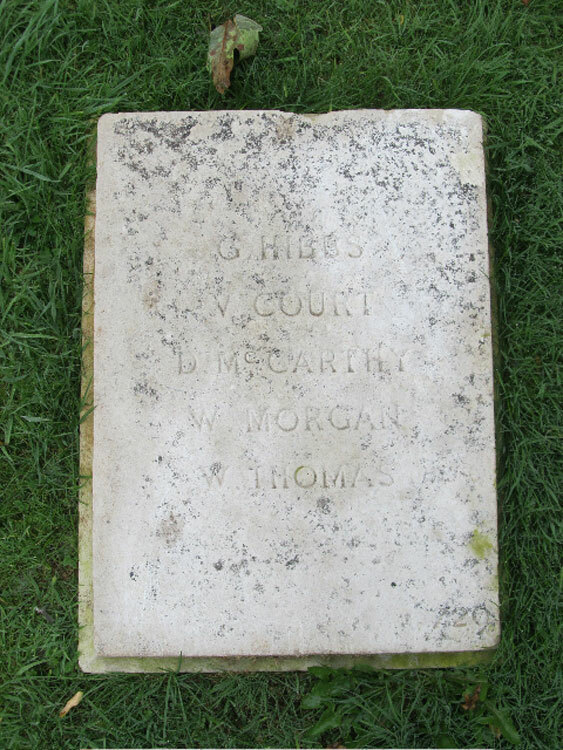 Husband of Mary Hibbs, of 44, Lyippett Rd., Redfield, Bristol. Died at home 26 February 1919. Aged 37. "Soldiers Corner" and the Screen Wall in Bristol (Arnos Vale) Cemetery, - Photographed in February 2014.